But what was the appeal of Brentwood, I ask the chef, as he darts between LA, India, Singapore and Italy, thanks to his hectic filming commitments. “This brand-new New York Italian is perfect for Brentwood. It represents friendly, casual dining and reflects the area in which it is located. It will give the people of the area a great new place to go out and eat where good food is served in a friendly, bustling atmosphere,” he says. 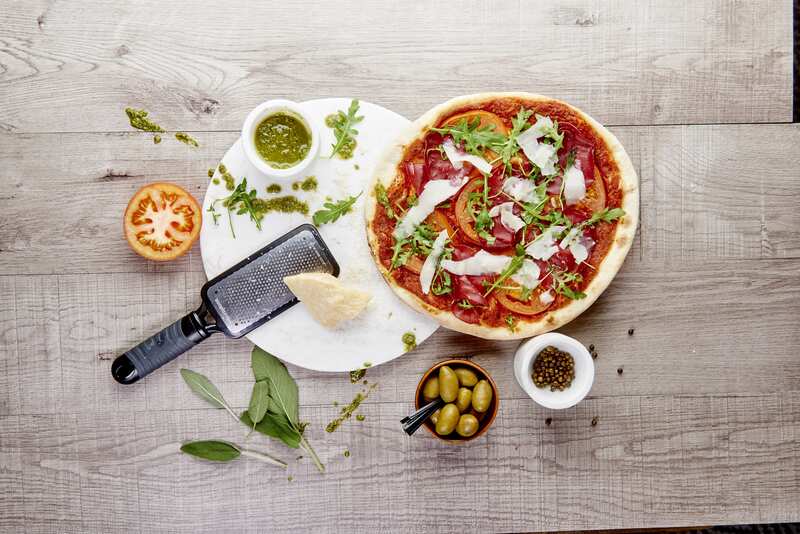 “The menu offers a fresh alternative, where authentic, uncomplicated food is served promptly and I think is what the people of the town want. We want groups of friends and couples to come in to enjoy lunch or dinner or to celebrate a special occasion. “I visited Essex a lot when I was filming the Great British Feast TV show. There is some great produce right across the county and I’m a great believer of using, where possible, locally produced, ethically reared and grown ingredients. Just how has the restaurant industry changed since he started out, aged 16, in London with “£7.36, a box of books and a bag of clothes”, as a commis with Albert and Michel Roux at Le Gavroche? “I’ve spent the best part of 40 years of my life in restaurants and a lot has changed in that time,” he muses. “To me, the most important aspect of eating out isn’t the food – it’s the atmosphere, the environment, the lighting, the service. Often a person’s favourite restaurant doesn’t serve the best food in the world, but if it is somewhere you are a regular and you get to know that staff and if there is a problem you forgive them. If you have to wait 30 minutes instead of 20 minutes for your main course, it doesn’t really matter – they know you and can explain they are very busy and the Maitre D’ will give you a glass of wine. “The problem with expensive restaurants is that you don’t become a regular because you can only go there on rare occasions. New York Italian is a refreshing change from the norm and I hope people will enjoy their time here. In those 40 years he’ll have seen a lot of foodie fads come and go, I imagine. What are his pet peeves at the moment? 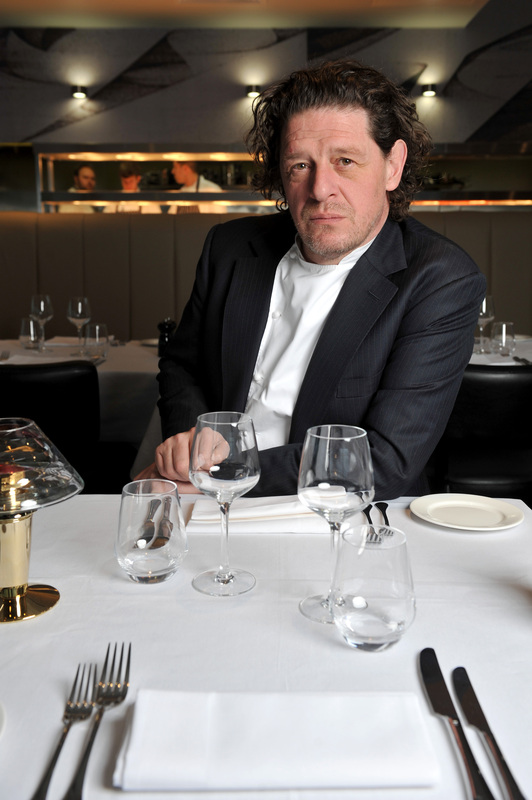 In recent years there’s been a huge increase in vegetarianism, veganism and demands for gluten-free food in restaurants, does Marco Pierre White, New York Italian, Brentwood, cater for this? “Yes, there are lots of vegetarian dishes that suits all tastes,” confirms Marco. Marco is no stranger to our TV screens – from Hell’s Kitchen to Masterchef and Kitchen Wars – so it’s easy to feel like we know him. But what might we be surprised to know about him? It turns out that for all the Michelin stars (which he returned when he retired in 1999) and top notch kitchens he’s worked (including the former Hyde Park Hotel, Le Méridien Piccadilly Hotel, and Le Manoir) he’s really a fan of more simple pleasures. “I just like the simple stuff,” he sighs. “I like the rain and wind. I like the seasons and I like putting on my wellies and looking after the animals at my home. And does that extend to his favourite thing to cook? It appears it does. 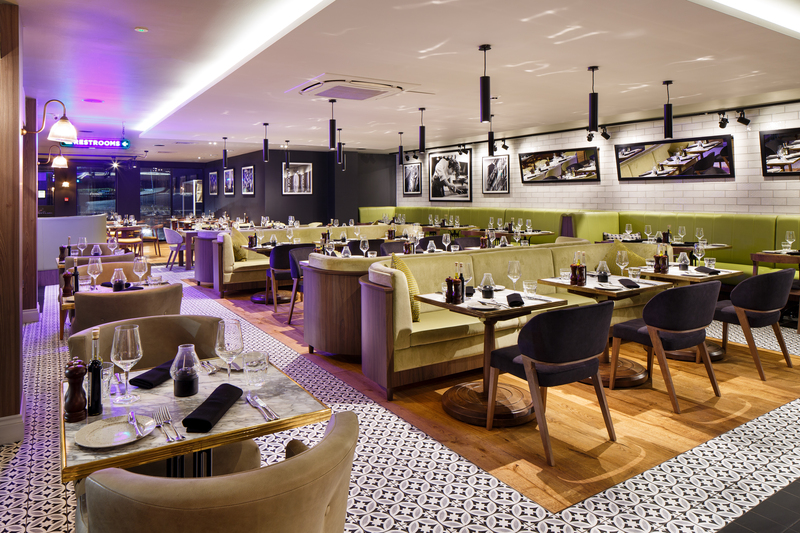 I’m pretty sure there’s no ham sandwich on the menu, but Essex’s first Marco Pierre White restaurant is still definitely well worth a visit. And if you fancy working your way through that lovely cocktail menu (and let’s face it who doesn’t?!) then handily the hotel is just a hop, skip and a stumble away… Enjoy!